Hardwood flooring brings a warmth and beauty to your home that is undeniable. It’s sophisticated & timeless look and feel appeals to mostly everyone and transcends generations. 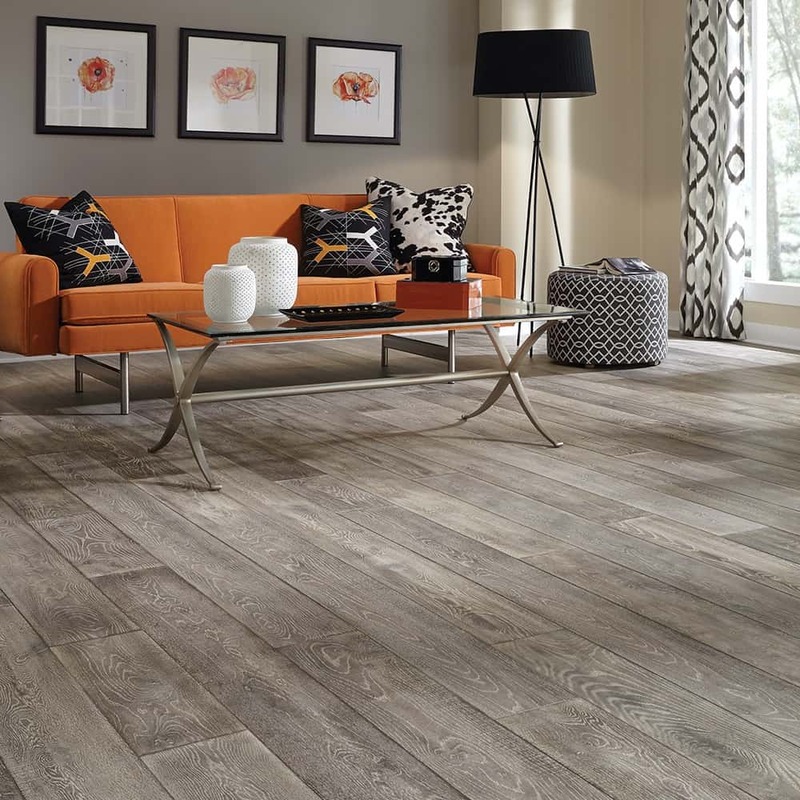 Hardwood provides a classic luxurious feel that elevates the feel of your home. 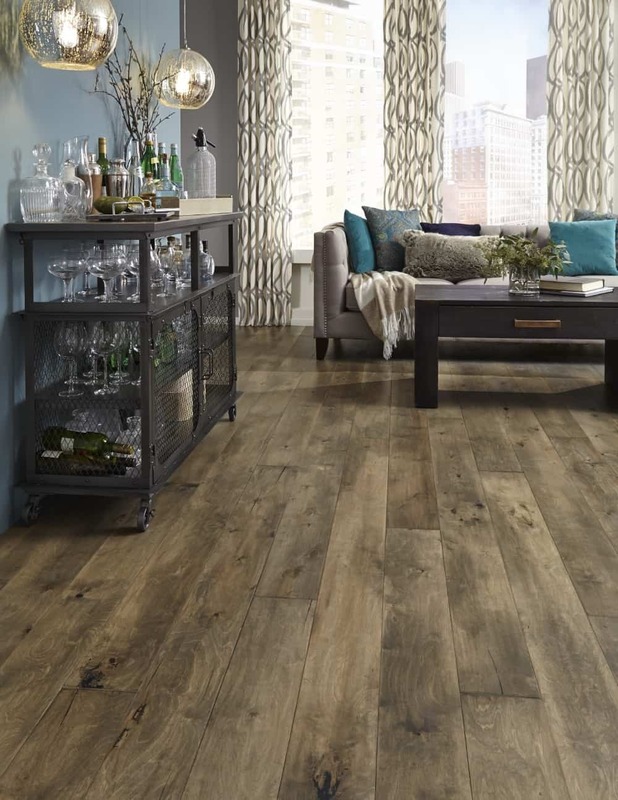 With so much variety in terms of species, graining, colors and plank sizes and styles, there is a hardwood floor for every home and decorating style. Solid hardwood is a single piece of wood plank usually about ¾” thick. It is installed by being nailed or stapled down. It is easily customizable as it can be sanded down and refinished. Pros: One of the upsides to Solid wood floors is that it will last you a lifetime, it’s natural look and feel appeals to most, most environmentally friendly flooring product – considered an organic product, increases the value of your home. Cons: Does not do well with moisture. Cannot be installed in below grade levels or bathrooms. The initially cost of hardwood is expensive. Engineered hardwood floors consist of 3-5 layers of wood planks placed with the grain running in different directions and laminated together. Engineered hardwood is more structurally stable than solid wood and does better at withstanding moisture. Because of the stability engineered hardwood affords you can have wider/longer planks, some reaching 9” in width and up to 90” in length. Pros: Engineered hardwood floors are still hardwood floors and will give you the resell value of having wood floors in your home, more dimensionally stable – you will not get as much contracting & expansion , while not waterproof it can resist moisture therefore you have the option of installing this product in below grade level, not as expensive has solid hardwood, installation is usually a click floating floor, comes in a variety of styles, colors and finishes. Cons: Usually cannot be sanded down and refinished.